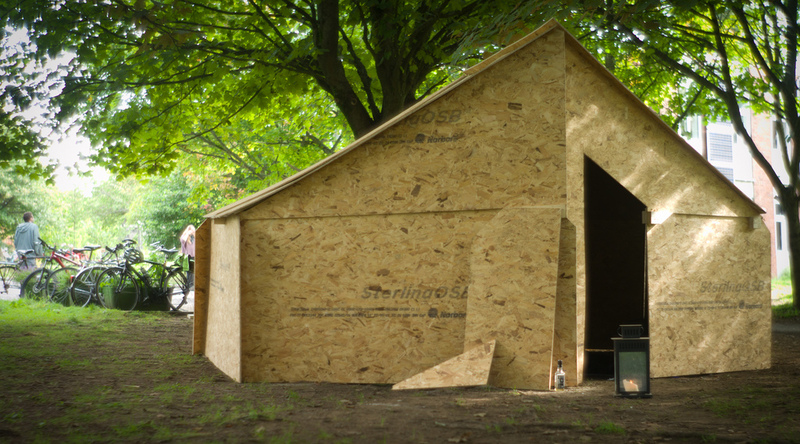 As part of Camp Pixelache and in connection with Vinay Gupta‘s visit, developer of the free/open source emergency shelter Hexayurt, we are organising a talkoot event on Friday 11.5 from 12:00 to 18:00. The Hexayurt shelter can cost less than a relief tent, is designed to be manufactured anywhere in the world at any scale, from local materials, as Free hardware, to house humans in need. The Hexayurt Project maintains the designs and makes them freely available. Here’s a global map of hexayurts builds. The aim of this ‘construction work party’ is to learn together the practical skills of how to build Hexayurts. We are planning to construct a temporary sauna structure for pixelache and related events, but our hope is to get different Hexayurts implanted in as many different contexts as possible. For this reason, we hope that various kinds of people will join to construct their own Hexayurts! Please note that if you are planning to construct your own Hexayurt, you should find / buy the necessary materials yourself beforehand.